Why does EOS Mining Constantly Remind you about insufficient CPU? Why Your CPU Resource is Constantly Reminded as Insufficient? CPU resources can be understood by the concept of the miner fee, when the contract is executed or sending tokens, the CPU resources will be reduced. However, the CPU resources are completely free, and they are not consumed like miners’ fees. They will recover after 24 hours of use. It is obtained by staking EOS. The so-called “stake” is not to sell or lend EOS. The staked EOS can be unstaked at any time without any loss. Taking the image above as an example, let’s assume that the current CPU price is 0.1107-EOS/ms/day, then by staking 1450 EOS, I can get 1450/0.1107=13000 cpu. (Not accurate, just an example that help you understand, the CPU is actually calculated in units of time). Why does it show sufficient CPU but you still cannot send? Due to CPU price fluctuations, the CPU resources that are exchanged for staking EOS are also constantly changing. Assuming that the unit price of the CPU is 1, by staking 100 EOS you can get 100 CPUs. If the CPU price suddenly rises to 10, then naturally only 10 CPU can be given. This number is always fluctuating according to the CPU price. In extreme cases, the CPU skyrocketed prices can happen, and with the CPU obtained by staking is not enough to send a transaction, it would show that there is CPU, but it still indicate that the CPU is insufficient. 0.4 CPU cannot meet the minimum requirement (1 CPU) for a transaction, that is why it indicates the CPU is insufficient. With the 20-EOS that are staked can only obtain 4 CPU, but you already used 15 CPU for the last transaction. It will display the CPU exceeds 100% and therefore cannot complete the transaction. How much CPU do you need at least for mining? Firstly, mining operation is a process of continuously sending transaction contracts. This process will consume CPU continuously, so it requires a lot of CPU reserves. If you want to experience DApp mining, it is enough to stake 10–200 EOS. If you want to participate deeply in DApp mining, it is recommended to stake at least 1000 or more. If you don´t have enough EOS, how could you get the CPU? For average users, there may not have many EOS to stake, you can choose to lease the CPU, spend a small amount of EOS and lease great quantity of EOS in order to obtain CPU resources. The wallet home page provides two DApps for CPU lease, which you can choose to use. Bank of Staked is suitable for users who want to participate deeply in mining. 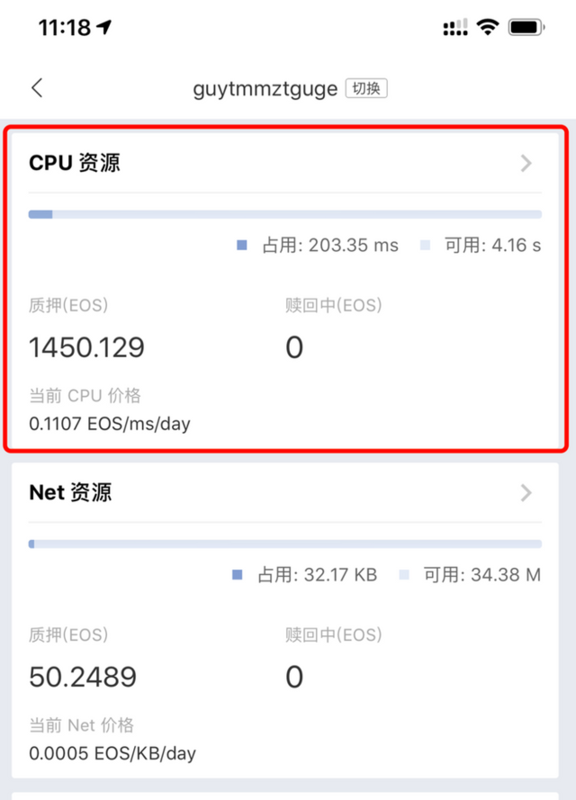 EOS can be used to lease a large amount of CPU usage per week. DAppCPU is suitable for users who want to experience mining, in there you can receive 10-EOS CPU usage for free. In any case, be sure to keep in mind only mine and do not gamble!